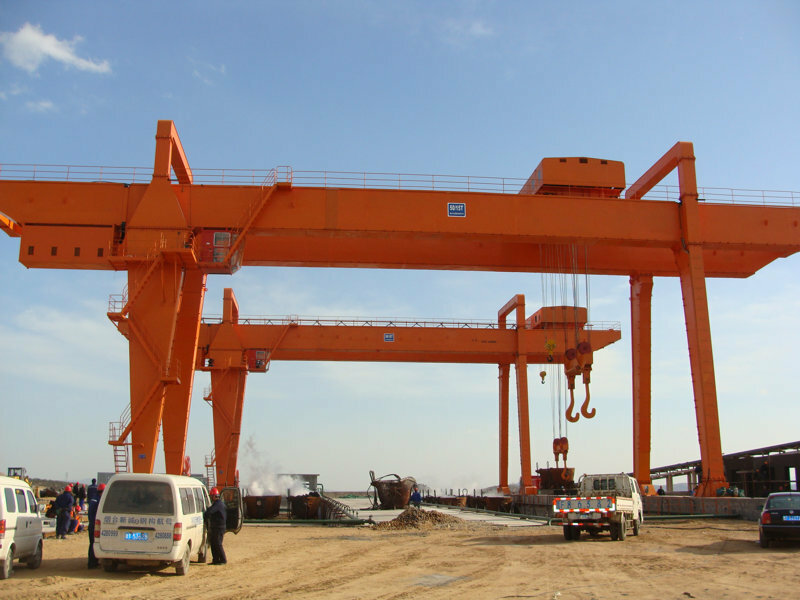 MG Outdoor Lifting Double Beam Gantry Crane - Henan Jinrui Machinery Co., Ltd. 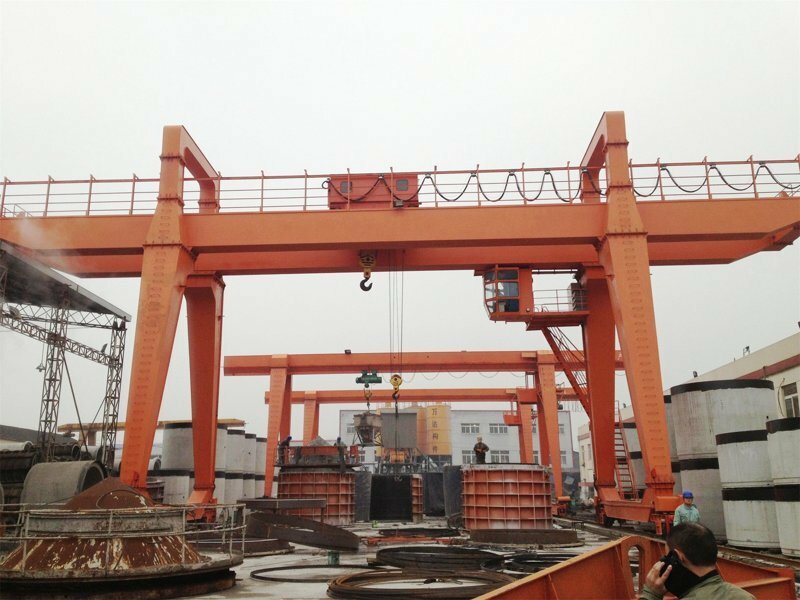 The double beam gantry crane body frame apply weld-less steel box shape structurecan achieve max lifting capacity and machine performance, light deadweight, modular design, ease to install and maintain, reliable operation. 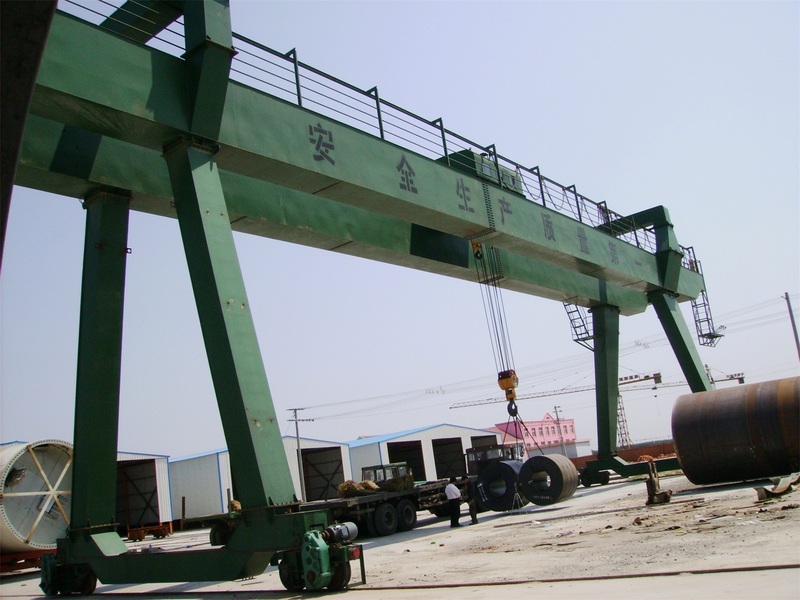 Double beam gantry crane is applied in outside warehouse, stock yard or railway stations to lifting, loading and unloading, transportaion and machine fabrication, also can be used together with other lifting equipment. 7. 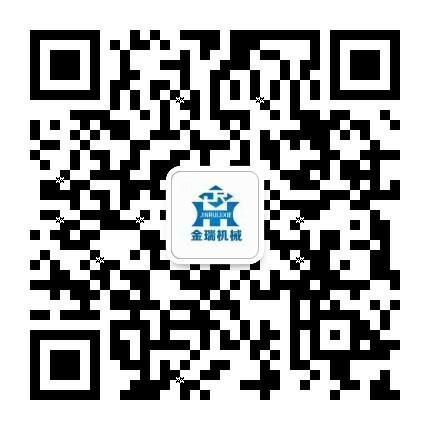 Various lifting tools can be chosen for hoisting different materials, hook, grab, electromagnetic chuck, billet clamp and container holder.